The week before last was actually pretty productive for me. My first finds came from this spot, one which I had been keeping an eye on for some time. Over the previous few weeks someone had put several bags filled mostly with miscellaneous fabric on the curb. Not much of that stuff was particularly interesting. However, I also didn’t see any food waste, and the lack of food usually indicates that someone’s clearing out a house they don’t live in. Those places are much more likely to produce interesting trash than your average house. 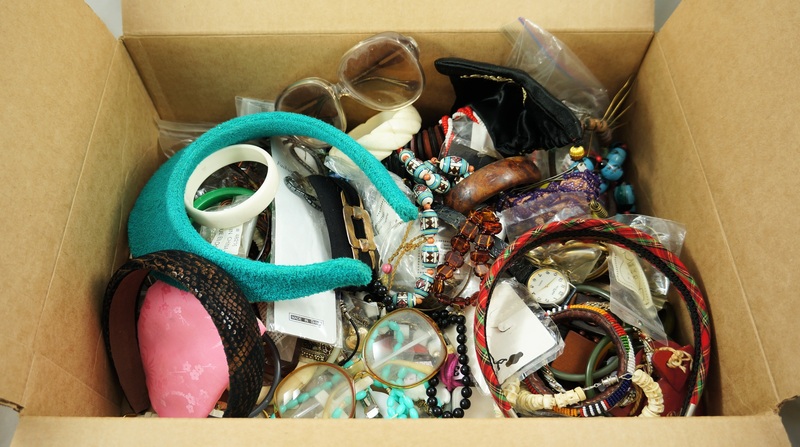 This time around I opened up a bag and saw lots of costume jewelry and accessories, especially headbands. I put the whole bag in the car to sort through later. I sorted it all the next day. A good portion of the contents were ruined, damaged, or otherwise not worth my time. I put these items in a box on the curb and they were quickly taken my someone else, so hopefully something good will come of them. This is the box of things I decided to keep. There wasn’t much to be found in terms of precious metals but some of the pieces were pretty cool regardless. There’s definitely some Etsy-able stuff here, though I’ll probably sell most of it at a 2017 yard sale. These were some of the pieces that caught my eye. 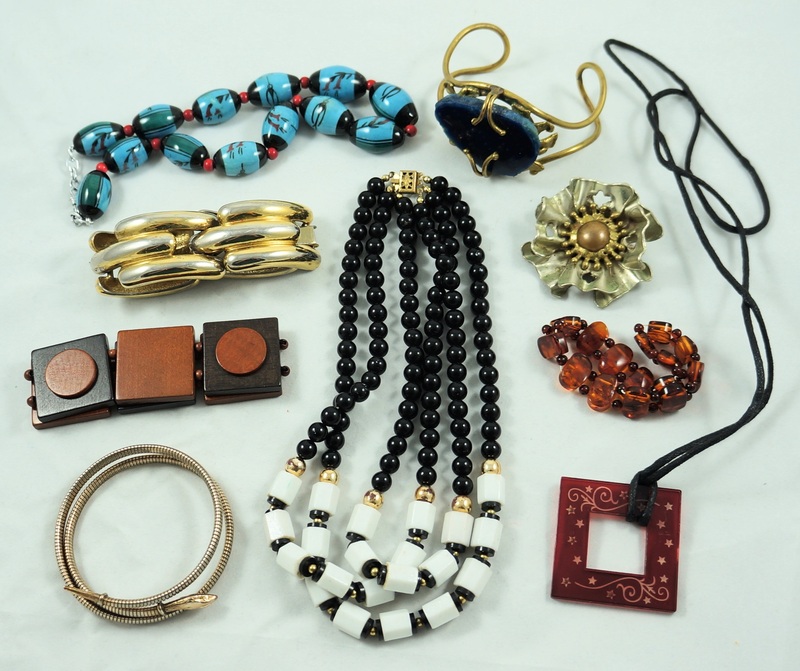 The bracelet on the left in the second row is signed by Givenchy and was probably made in the 80s. It’s lost some of its gold tone but I expect that it will sell for a good price (between 30-40$). The serpent bracelet at the bottom left is pretty cool – it’s also signed but I can’t make out by who. This necklace is signed Ornella Italy. Though the maker doesn’t seem to be that well known, some of their pieces are listed for big numbers on eBay. The string on this necklace is unfortunately broken, but maybe someone will want to buy it for the beads. They’re made of glass and look to be well crafted. 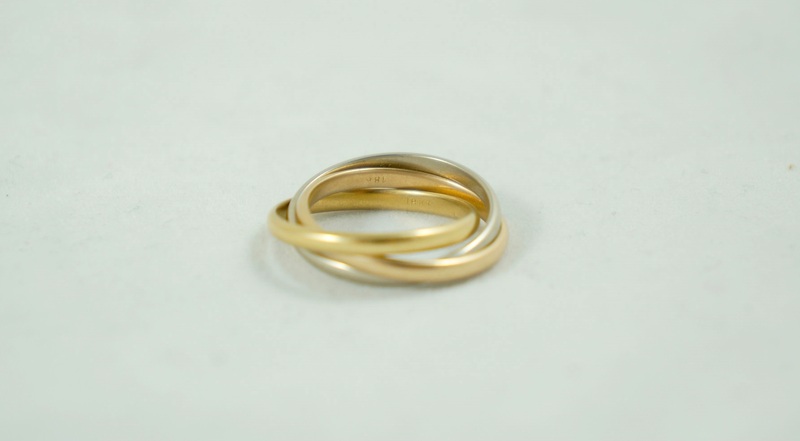 The most valuable piece in the bag was probably this 18k gold ring. Maybe it was overlooked when whoever was dealing with the rest of the stuff. 18k is one of the higher purities, and because this ring is relatively heavy it’s worth around 200$ for its weight in gold. A spot in an unassuming part of CDN provided the rest of my notable finds. One of the bags was stuffed with old photo albums, most of which contained family photos dating from the 50s to the 80s. 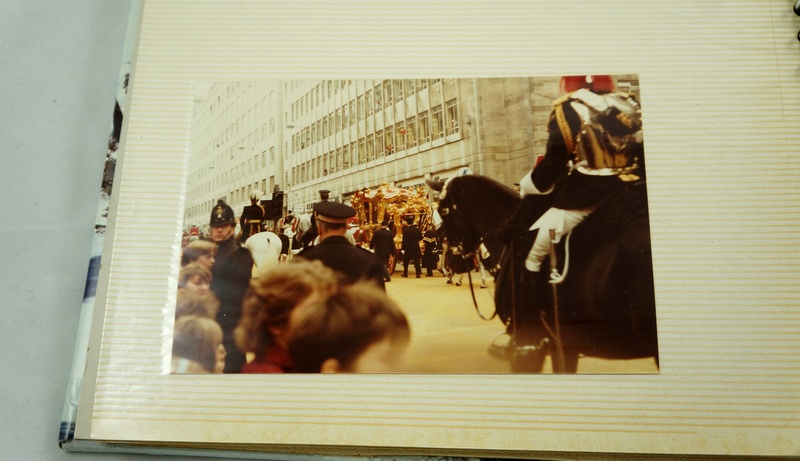 There were other interesting shots though, like a series from a parade that presumably featured the Queen. The grand looking carriage in the middle of this picture looks like her Gold State Coach. The albums also acted as scrapbooks. 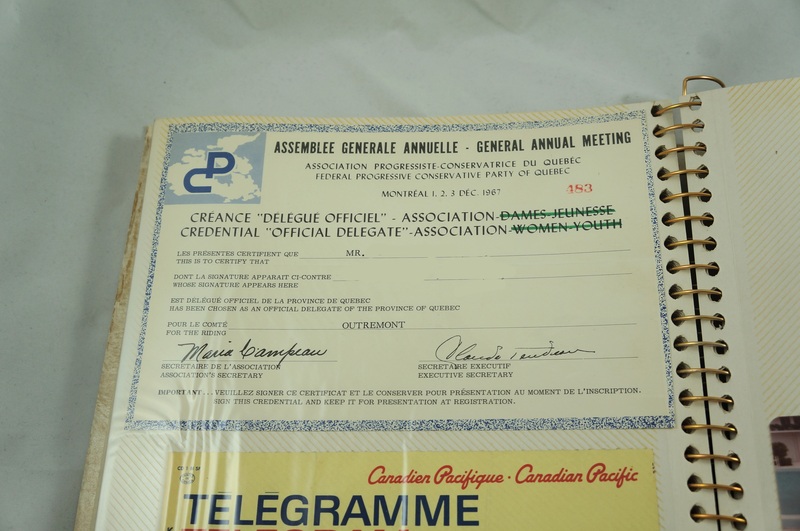 Inside one was a collection of ephemera related to the 1967 Progressive Conservative leadership convention, including signed letters from high ranking conservatives such as Duff Roblin, Davie Fulton, and George Hees. Someone who lived here was a delegate at that convention. There were no letters from the eventual winner, Robert Stanfield. 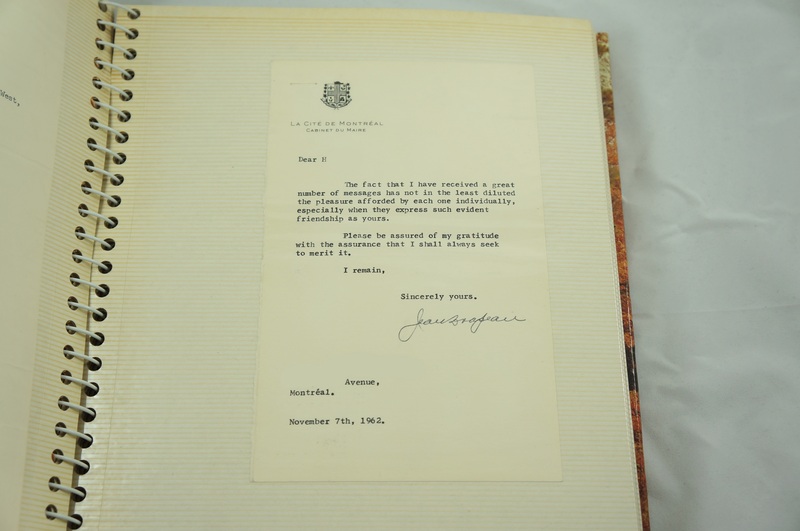 One of my favourite pieces of ephemera was this letter signed by longtime Montreal mayor Jean Drapeau. He sure wasn’t perfect (he was rabidly homophobic to start), but there’s no denying that he got a lot of things done over his roughly 30 years in power. 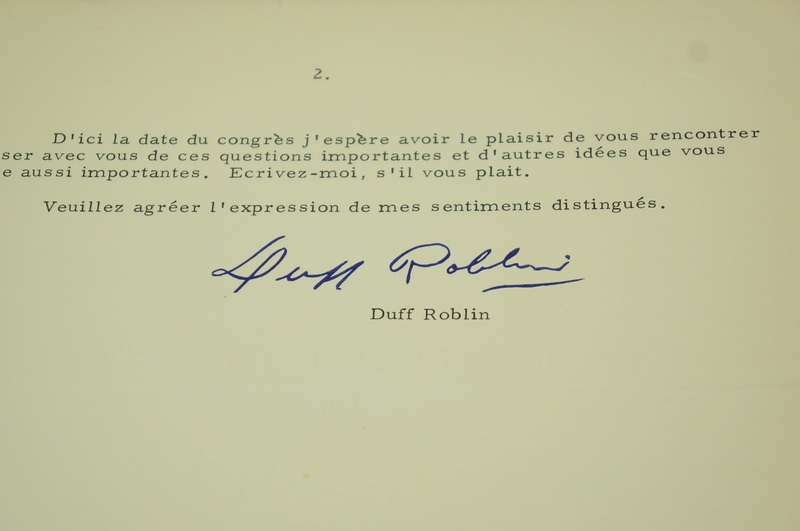 It’s neat to have a copy of his signature. Just in case you’re wondering where some of the words went, I edited these photos to make sure they show no personal information. 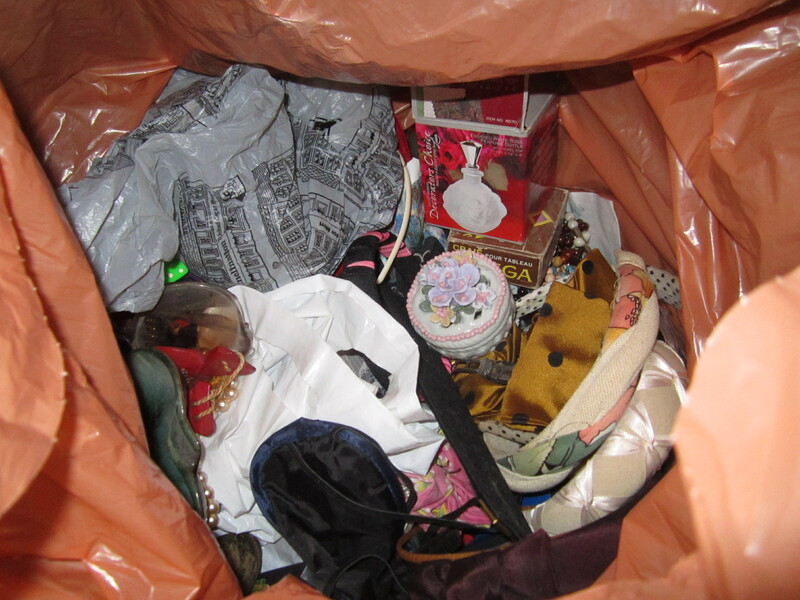 I was otherwise able to scrounge together some interesting bits and pieces from the rest of the bags. I found a vintage match safe (top right), some vintage dental floss (to the left of that, and now part of my collection of old junk), a “Respiration Service” pin from the Royal Life Saving Society, and a medal from a 1960 Volleyball competition, among other things. The pens are the best part of this haul though. 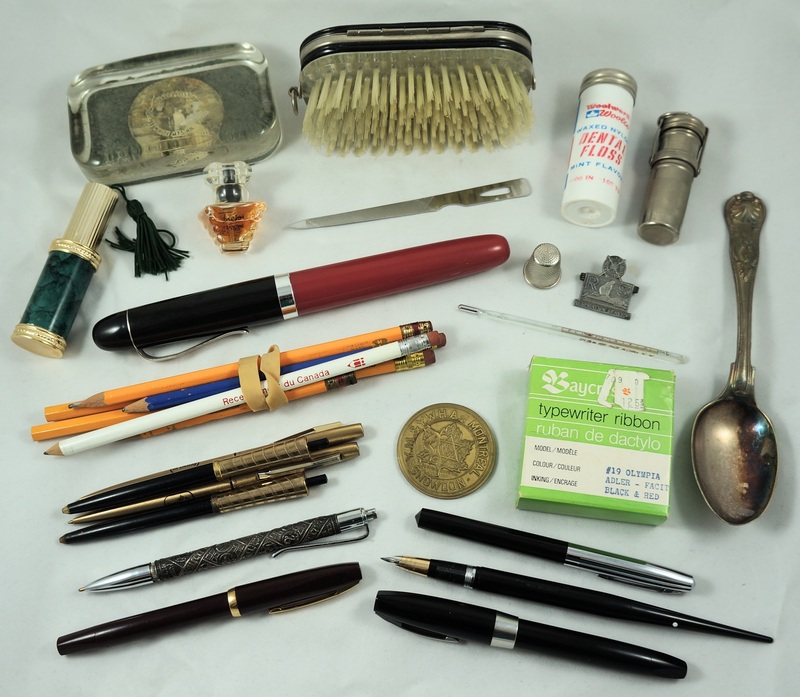 At the bottom is a nice 1960s Sheaffer Imperial pen, and above that is a Silverolex “Tribes of Israel” pen. It has a sterling silver barrel. From what I can tell this design was pretty popular amongst Jewish people in the 50s or 60s – I’ve found several similar pens over the years, and all were from Jewish households. One of the pens is a Sheaffer desk model with a large 14k gold nib. I love finding gold in all its forms! 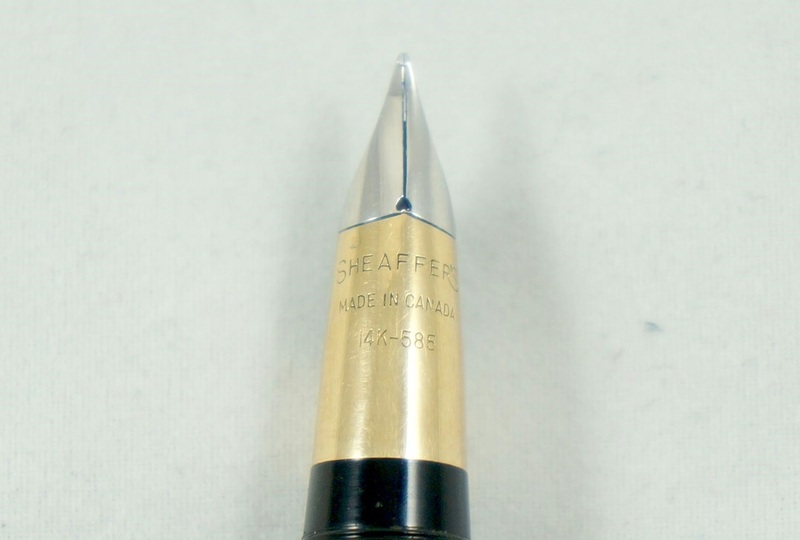 To my surprise however the most valuable pen was this relatively unassuming Sheaffer. 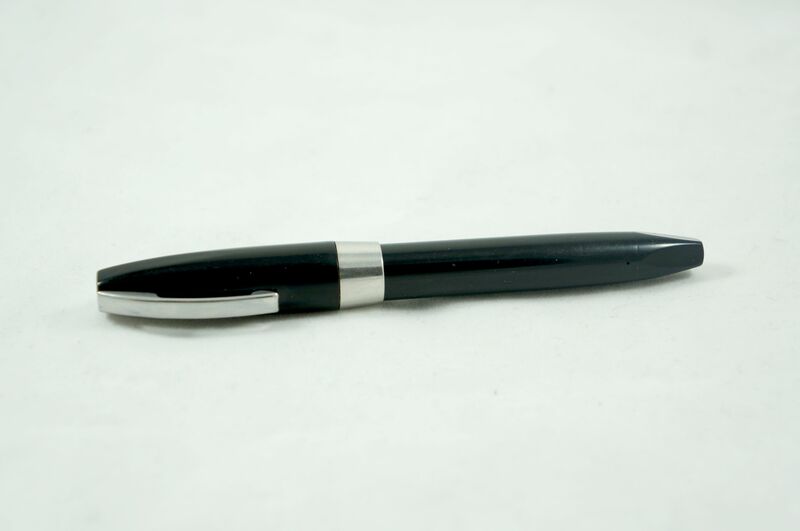 A reader helped me identify it as a PFM (“Pen for Men“), a model released in the late 50s and early 60s. It wasn’t that popular at the time but it seems that pen enthusiasts came to appreciate it later on. Despite the fact that this pen needs work (the ink sac needs replacing, and the nib is slightly bent) my PFM just sold last night for 175$ + shipping. That’s a pretty good deal! 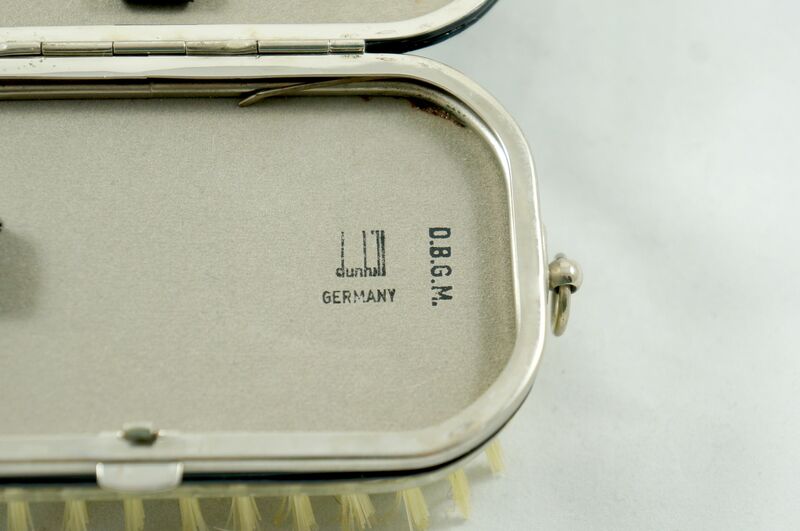 Another quick seller was the brush, which also served as a manicure tool holder. It was signed by Dunhill, a British luxury goods brand. I couldn’t find any similar brushes on the internet, but I listed it at 50$ thinking that was a good starting price. It sold within a day to a happy buyer who left me positive feedback. 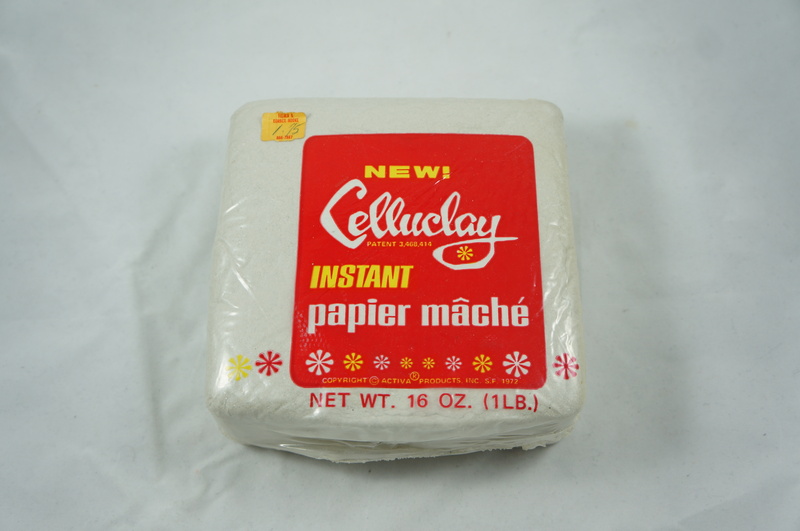 I love vintage things in their original packaging, so let’s finish with this 1lb brick of Celluclay instant paper mache from the 1970s. 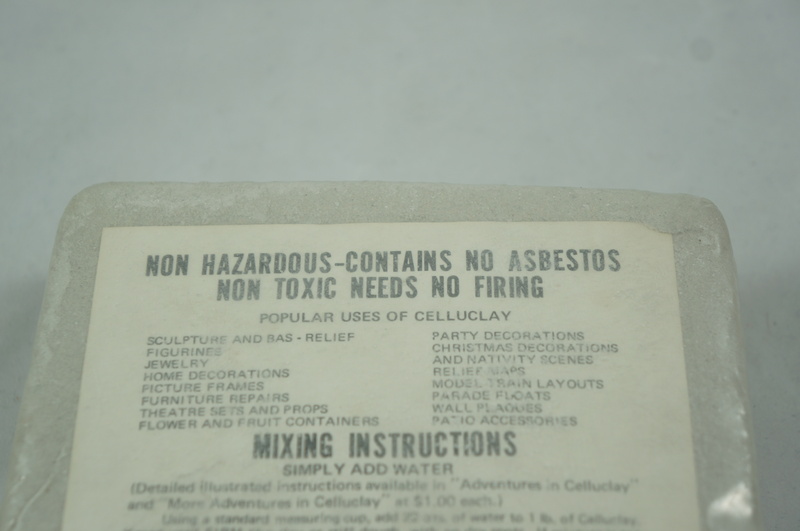 The back notes that Celluclay contains no asbestos, so I guess there was a time when instant paper mache did contain asbestos. Fun stuff! Oh, and I found another tuque and two pairs of gloves in the Plateau. 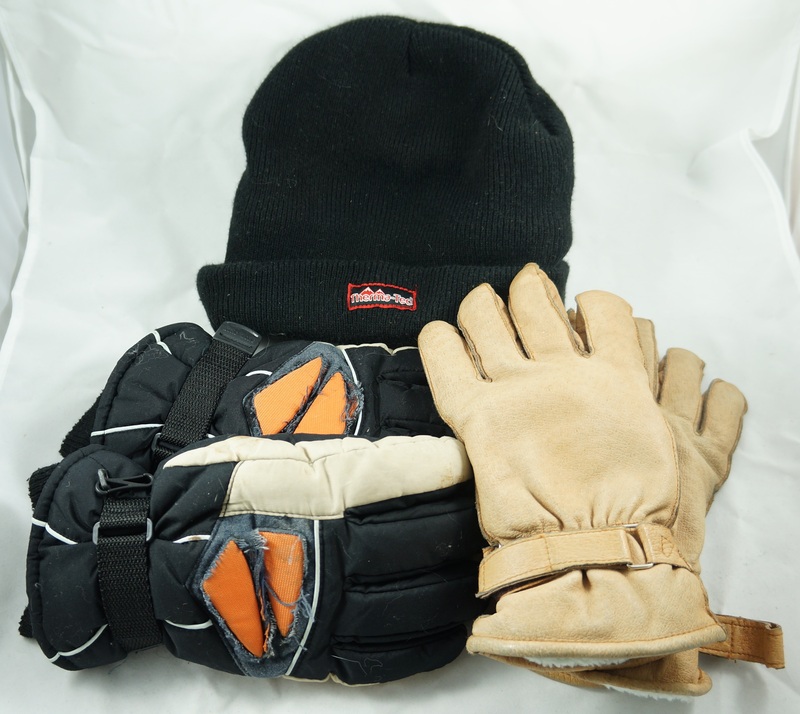 The gloves are used, but they still work great. I went on a bike ride when it was really cold out and didn’t have any issues with my hands being cold. I should be set for the winter now, even if I do lose a tuque or three! Way to rock the gold rings-aweeomse finds!. I’m glad you found yourself some gloves and a tuque. Here in Canada, you can never have too many (particularly if you have a tendency to lose track of them). Hahaha. I guess your next week or two will be pretty quiet, what with Christmas and Hanukkah and all. I ABSOLUTELY DROOL over the amount of jewelry you find! My best to you for the holidays – stay safe! Love ALL of your posts! I stopped buying things off the internet last year since I became a victim of identity theft.I only buy from stores,flea markets ,church sales or garage sales since last year and I pay cash.I use credit cards rarely- for only big-ticket items.I will want to check out your garage sale once the weather gets warmer.I live in Brossard .Happy Xmas.Keep doing this. It’ll be quite the trip from Brossard but I expect you’d enjoy yourself. It’ll probably be around mid April by the time I have my first sale. I’ll announce it here for sure. Hi Are you selling that ring ?? The bead necklace from 1950/60 and is made of venetian glass. 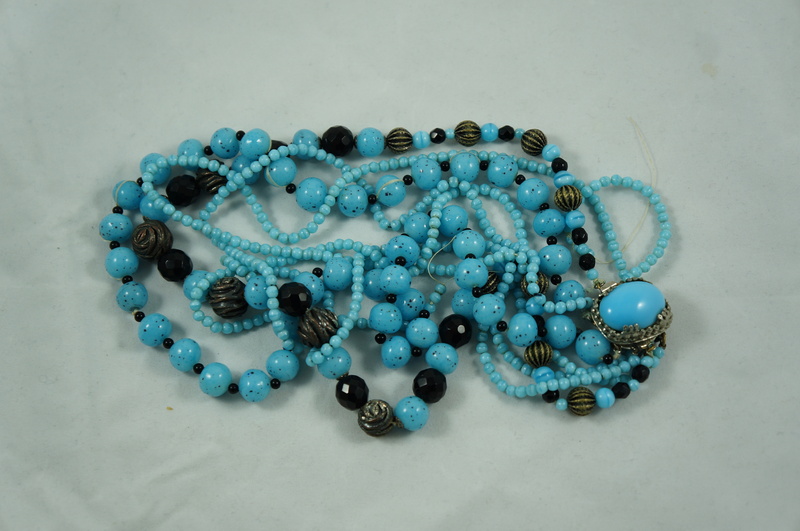 There are contemporary beads shops where you could have someone repair the necklace as it appears to have a value greater than the beads themselves. Thanks, maybe I’ll look into that. Congrats on the recent sales. Good luck with holiday sales as well as hunting, when after Christmas people throw out a lot of their old stuff, replaced by new stuff. Hope you find treasures! Merry Christmas and best wishes for success in all your endeavours in the New Year! In previous years I’ve been excited by holiday trash. I envisioned people throwing away their “old” MacBook Pros or iPhones or whatever. However it doesn’t seem to be the case, at least not very often anyways. I think the thing is that the people who are rich enough to set aside this kind of stuff are also most likely to have lots of storage space. So, the old Macbook Pro will go on the shelf until they move / do a spring clean, at which point it’ll get tossed or hopefully donated. There’s no urgency to clear out that product that presumable did them well up until that point. Maybe it’d be a good idea to keep and eye on neighbourhoods with lots of wealthy people that have little storage space, like those living in condos in Old Montreal as an example. They will probably have less storage space, and may be more averse to clutter. That’s just an untested theory though. That being said, around Christmas lots of kids go back “home” and they might end up looking through and throwing out their old things. I’ve noticed that I’m more likely to find stuff that belonged to someone around my age this time of year. This stuff isn’t usually particularly exciting but there might be some things I can make money on regardless. Merry Christmas & New Year’s to you as well! I was walking in Town of Mount Royal to Portland street where a cousin has a house.I went on Boxing day to share supper and a few drinks.I walked along Kenilworth street from Laird.I noticed Kenilworth street has many rich houses.On Kindersley street at the intersection of Kenilworth there is a mega-mansion.It must be more than 5,000 square feet and is ginormous.I know you stopped doing TMR because of an unfortunate incident.However,did you find many treasures on Kenilworth Street and in front of that mega-mansion?Want to know?Happy holidays. That whole area west of Canora is pretty nice. Lots of nice old houses, lots of money. I can’t say I remember the mansion, and I doubt I’ve found any trash there. Hi,Martin,Happy Christmas to you.I am cutting and pasting this ad from Craigslist Montréal of Dec 18. If you are cleaning out your freezers or have any unwanted/leftover meat and/or organs, I’m willing to put it to good use – I make my own dog food. That’s a good tip. It’s a shame when meat goes to waste. Happy 2017 to you,I hope you make even more money scavenging in 2017 and that you pick up another sideline too to add to your income.It is a pity that you stopped scavenging in TMR because of that unfortunate ticket you got.That route was very profitable for you,and there are few scavengers in TMR so if did not save those treasures nobody else probably would have.Outremont,Westmount,NDG,etc have quite a few scavengers,I think.So can’t you find a loophole or a better way to continue scavenging in TMR?A sympathetic lawyer or city councilor might be able to help you.Good luck and God bless.Your mission is simply wonderful. I’m still looking into it. From what I can tell trash picking is in this legal grey area. 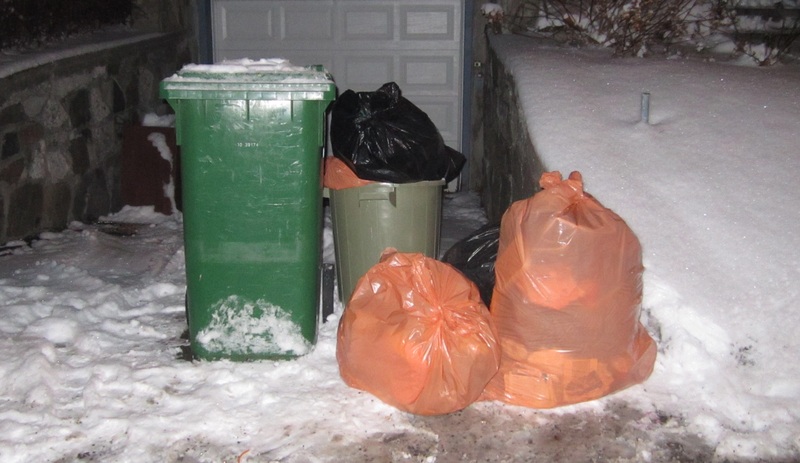 Certain neighbourhoods have enacted by-laws which punish garbage picking, or claim that the municipality “owns” the trash. I very much doubt these laws would support a court challenge. A recent Supreme Court judgment, which allows the police to look through someone’s trash without a warrant, emphasized the fact that trash is abandoned and that no one can expect their trash to have privacy once it’s on the curb (trash at the back of the driveway is another story, of course, but I never look through that because that’s clearly trespassing. On the other hand, I was recently doing research on what’s considered trespass and found that doing so at night is treated much more severely (it’s considered loitering or prowling). I don’t consider what I do trespassing, but all it would take is one exaggerated report to cause me some issues. The easy answer is probably to just go during the day. That way the trespass thing is out the window, and I find the police and security folks have better things to do at that time. Regardless, I think that in the new year I’ll consult with the Mile End legal clinic to see what they have to say. Happy New Year! I’ve been waiting to read another post from you! Did you hit your yearly total? My Bf and I went garbage hunting yesterday. It was large pick up in our favorite area and boy did we do well! The car was so full that we had to stop since we had no room left! We will be opening up our store in the Spring in a 2000 Sq. Ft. barn filled with stuff from the garbage! I’ll send you the Facebook page so you can like us when it’s set up! Meantime am waiting for your update since it’s always so interesting to read! 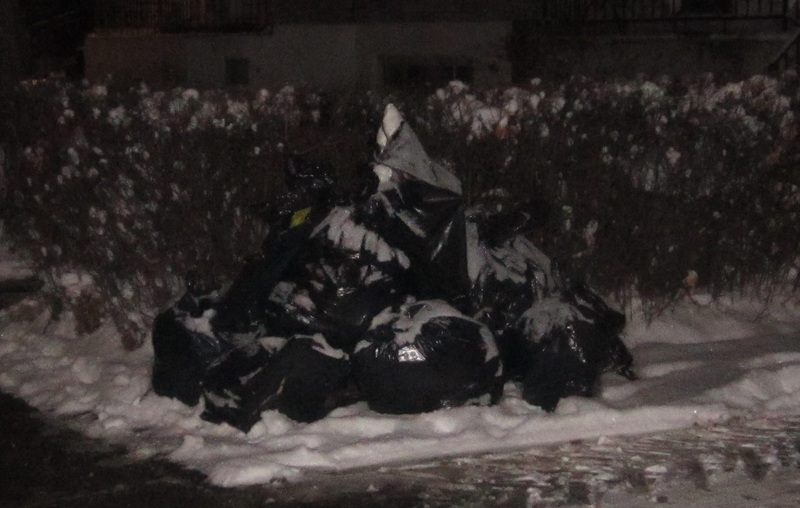 Have a good garbage filled year, lol! Hi Martin,it is funny so many people mention TMR in the comments section.One of Montreal’s most famous and brilliant animal rights activist lives on Kenilworth street in the Town of Mount Royal.Her name is Anne Streeter.She works tirelessly to end puppy mills in Quebec and to end the horse caleches in Montreal. There is a high-rise building in the gay village on Ste.Rose street at the intersection of Papineau.Tons of good things,including paintings,art works,etc get thrown on the curb outside the building.Yet many good items do not get rescued sadly.Bottle and can collectors are common in this area,but other scavengers are rare in the gentrified section of the gay village.Maybe you could do the gay village.You never even mention the gay village in your blog.Happy new year. soon.I hope you can start picking TMR soon.